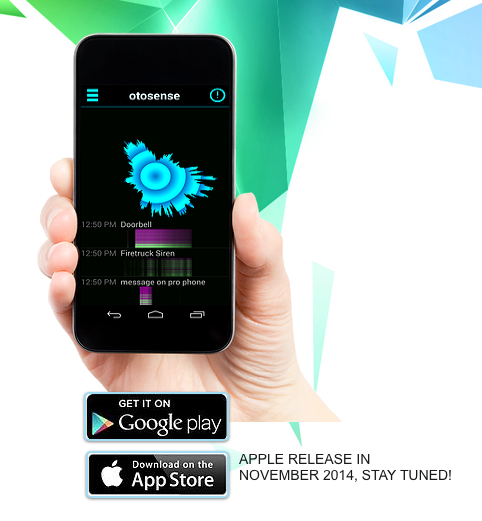 OtoSense is a new app for Android and iOS (coming soon) that can identify important sounds in your life. When the app is running, it continuously analyzes your environment to detect sounds such as a doorbell, smoke detector, or telephone. When it finds a match, it notifies you via flash, vibration, or third-party notification. A small library of sounds is included, and you can record your own important sounds to add to the list. Because OtoSense continually analyzes the sound environment, it does increase the drain on your battery. The app is nice enough to give you warnings when you open it, requiring you to confirm that you do want it to run. It also keeps a small icon in the notification bar to remind you that it is running. The company is working on improving battery life, and also on adding to the library of sounds. Download OtoSense now to try it out for free! This entry was posted in Blog and tagged App, cochlear implant, OtoSense by CochlearImplantHELP. Bookmark the permalink.